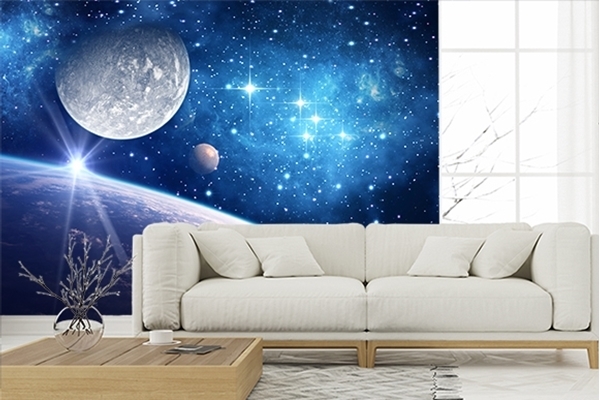 Order your favorite photo wallpapers from category - Photo wallpaper Space! Aurora over snowy mountains. Northern lights in Lofoten islands, Norway. Starry sky with polar lights. Night winter landscape with green aurora borealis, stones, sandy beach, rocks, illumination.